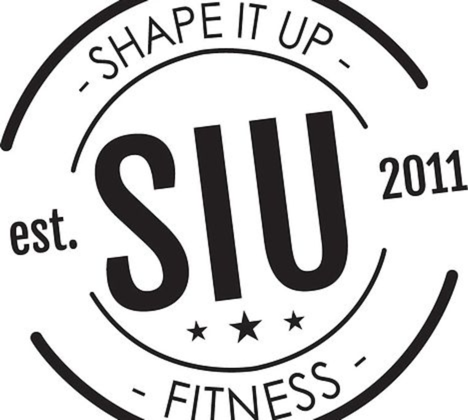 SIU & HealHer are teaming up to bring you…. 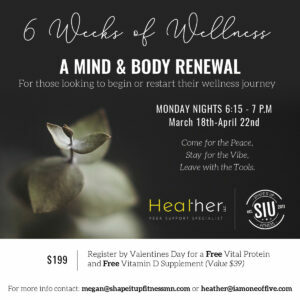 A Mind & Body Renewal! 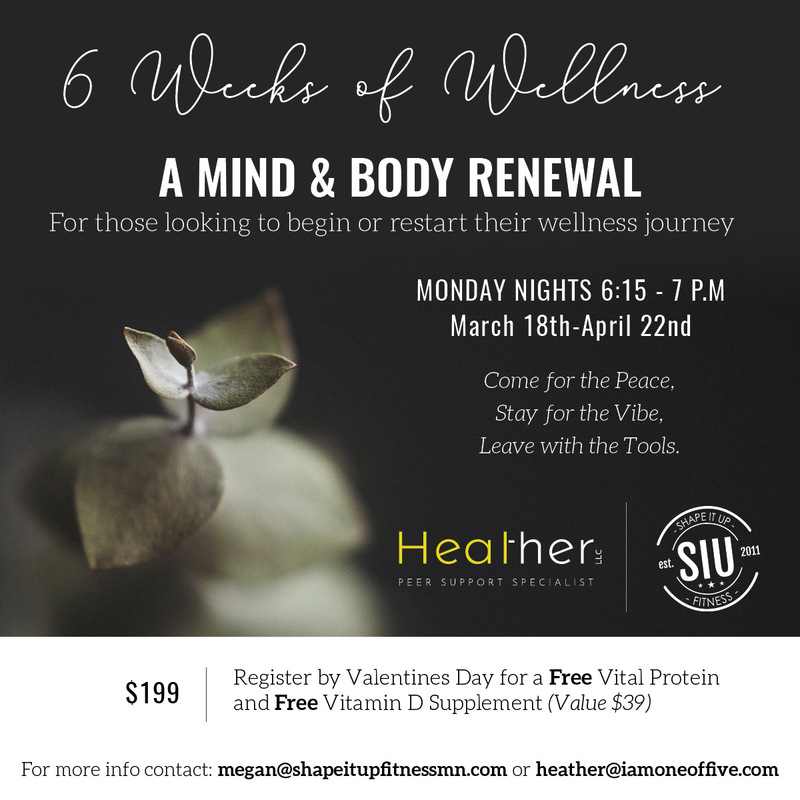 This event is perfect for those looking for a place begin or restart their wellness journey. Each week will include new topics and tools for success along with light movement. Awaken the body and mind!